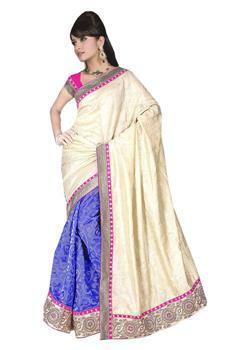 The turquoise Blue coloured saree enhanced with moti, diamonds, and Stones .it is fabricated from Jacquard material. 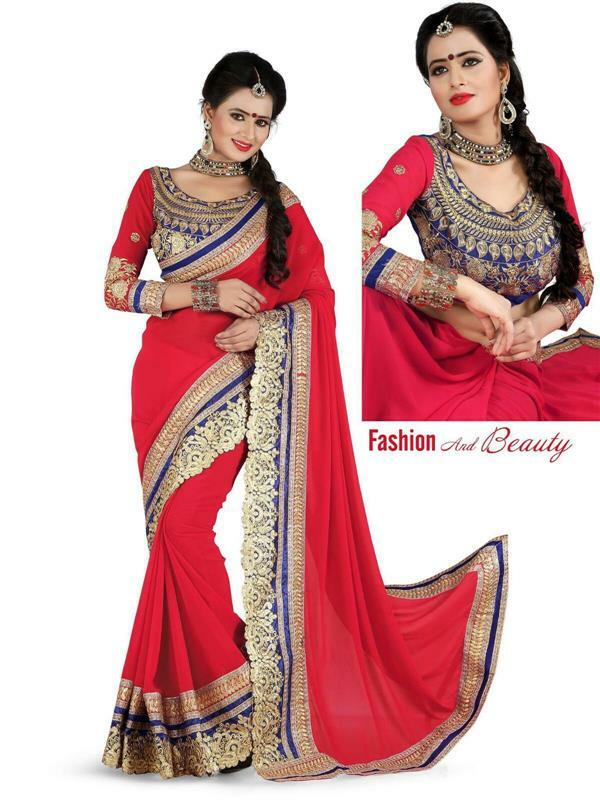 The lovely border with rich moti and diamond embroidery work enhance its look. 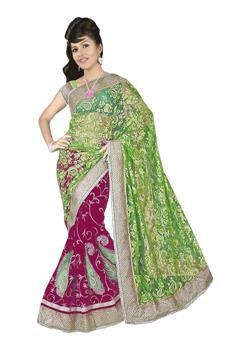 The pallu and pleats are decorated with patch work. The stones are stitched all over the saree. 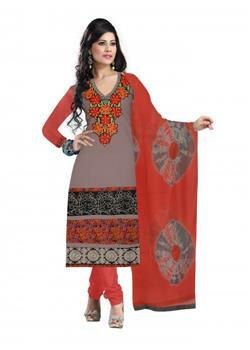 It Comes with unstitched blouse fabric that could be tailored as per your choice.